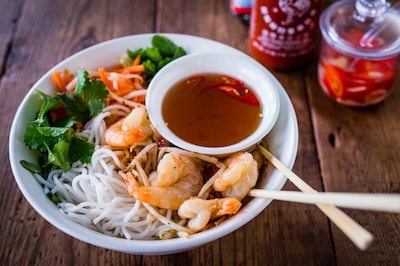 Pho Brighton is a Vietnamese restaurant serving authentic Vietnamese dishes, all freshly prepared in their open plan kitchen. Specialising in the national dish ‘Pho,’ (pronounced fuh). Here you can expect to try their unique ranges of tasty, aromatic and nutritious soups, as well as other Vietnamese foods, fresh juices, beers and coffees. 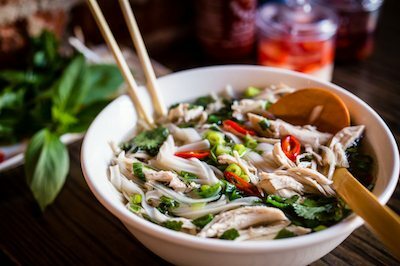 Stemming from a small family run restaurant – Pho offers great value, deliciously healthy and authentically prepared Vietnamese food in a relaxed and informal environment. Did you know? Pho is also a great option if you are looking for a dairy free, gluten free or a vegetarian meal option in Brighton. Pho in Brighton is a short distance away from Brighton’s seafront in the historical South Lanes and it is located on the popular Black Lion Street. A great place to watch the world to go by from and with plenty of additional outdoor seating so you can enjoy the Brighton sunshine. Great for groups, Pho in Brighton can seat up to 130 diners in one sitting inside; it also has plenty of space on their alfresco dining area with oblique sea views. Open throughout the week for eat-in and takeaway and usually operating a no-reservations policy. However if you do want to make a reservation then just get in touch and they will see what they can do. Pho food and Pho noodle soup can be dressed the way you want it to taste. 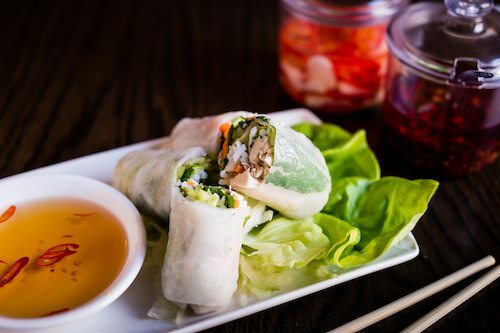 The most enjoyable aspect of eating Vietnamese food is the act of trying and enhancing your food as you eat, creating a dish that is distinctly yours, so it includes all the additional herbs and sauces – just as YOU want it. So once you’ve chosen from the menu, you determine the final taste at the table by the extent to which you garnish from their selection of 15 combinations of stock and toppings. Other dishes include Pho xao. This is a wok fried flat noodle served with crunchy greens and a choice of three toppings – tender beef, prawn and chicken or tofu and mushroom. All are topped with roasted peanuts and fresh beanshoots – Similar to the Vietnamese Pad Thai only better! Bun Noodles are light and healthy way to enjoy noodles – an attack on the senses with contrasting textures, temperatures, colour and flavours. Every bowl contains soft room temperature vermicelli rice noodles, an abundance of fresh herbs, crunchy carrot and mooli pickle and crisp lettuce and a hot topping of your choice stir fried in lemongrass and a little chilli. The dish is garnished with roasted peanuts and fried shallots and they also throw in a veggie spring roll. 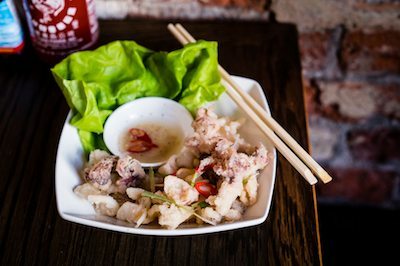 With this dish they recommend you mix up the ingredients in the bowl and pour over the little bowl of nuoc cham sauce to really get the most from this dish. 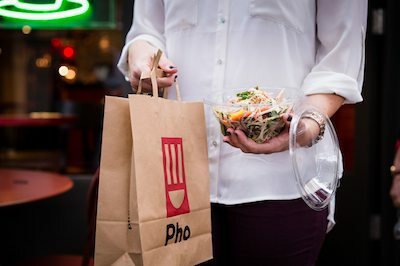 If you don’t have time to sit down and enjoy the experiences at Pho, then why not try a takeaway with a difference? To order either just pop-in, or to save time why not ring ahead and have the food ready for the time you want it. 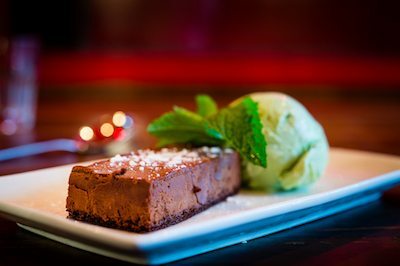 Lunch time special – Pho Brighton offer a great value 2 course lunch time special Monday to Friday, for just £9.95. Had high hopes from the menu but not great. The staters were really good but it stopped there. It was far too loud, and they wouldn’t turn down the music. We were a large group and one person didn’t receive their food. I ordered the hot and spicy chicken pho and it was not spicy at all and have very little veg in it.